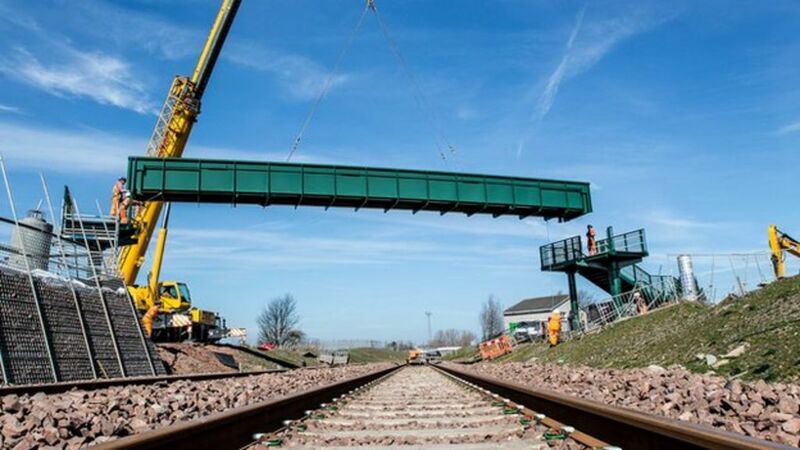 The last bridge over the Borders Railway has been installed as part of the construction of the new 30 mile route. A total of 95 bridges have been refurbished and 42 new bridges constructed on the railway between Edinburgh and the Tweedbank. This footbridge at Harelaw provides a connection from Newton Village to the new station at Shawfair, south-east of Edinburgh. The last bridge over the Borders Railway is installed as part of the construction of the new 30-mile route.